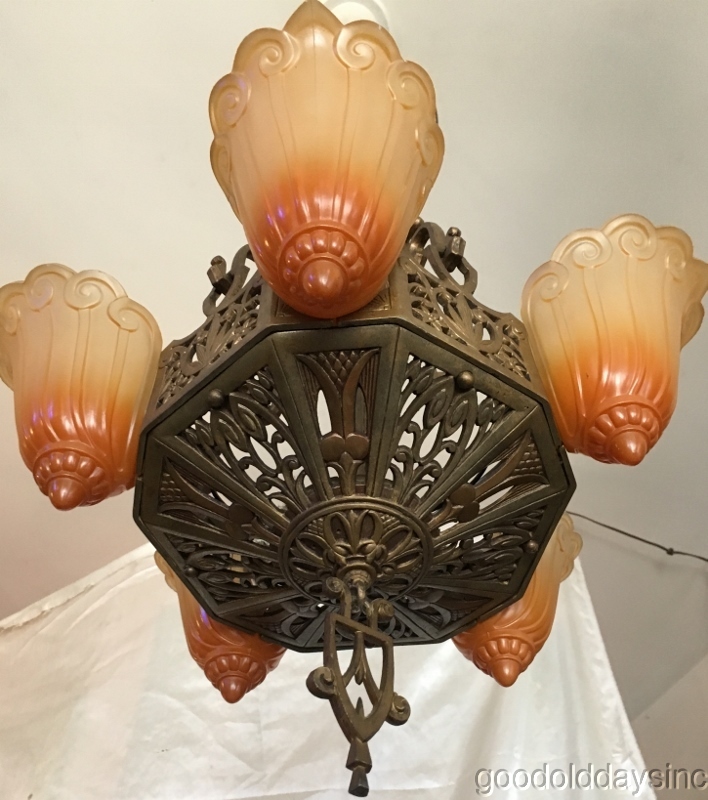 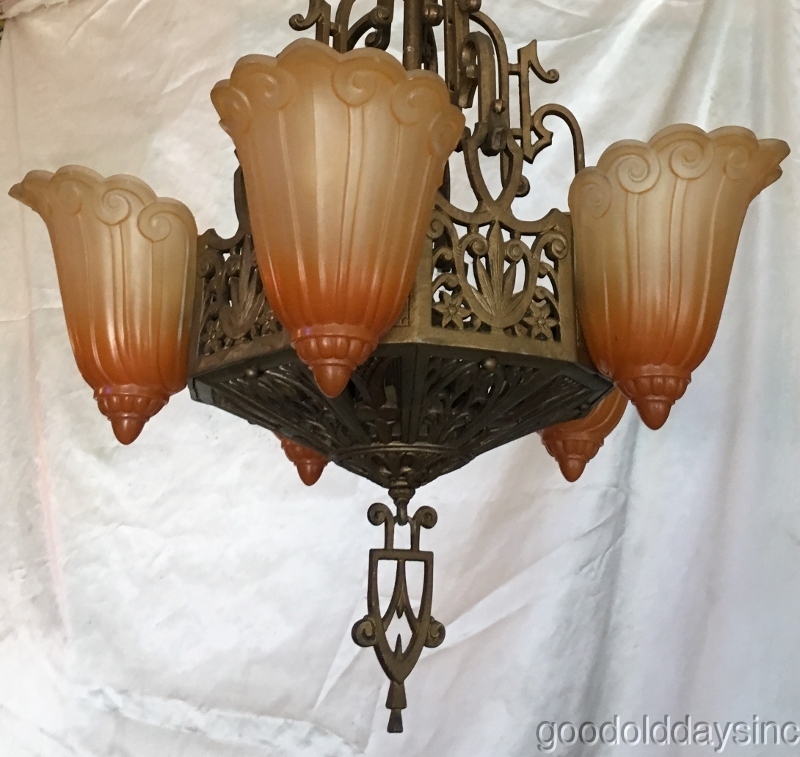 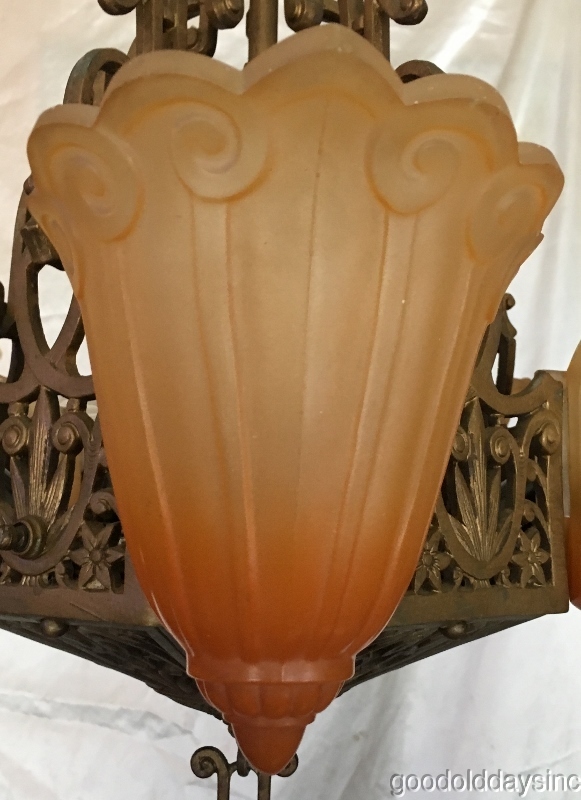 Antique Art Deco 5 Light Fixture chandelier circa 1925. 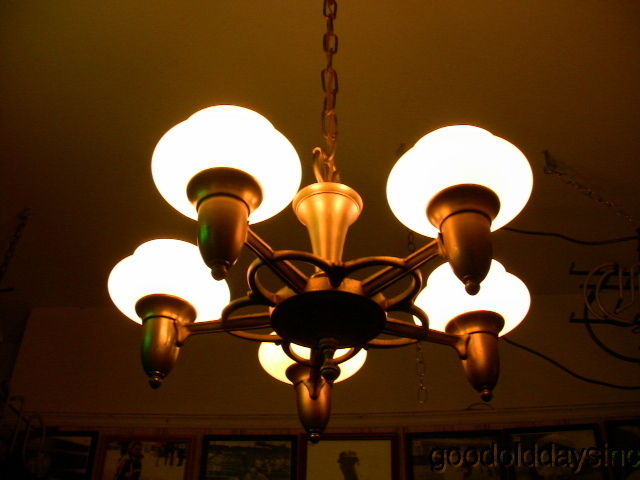 This fixture has been professionally rewired and is all set to last another 90 + years. 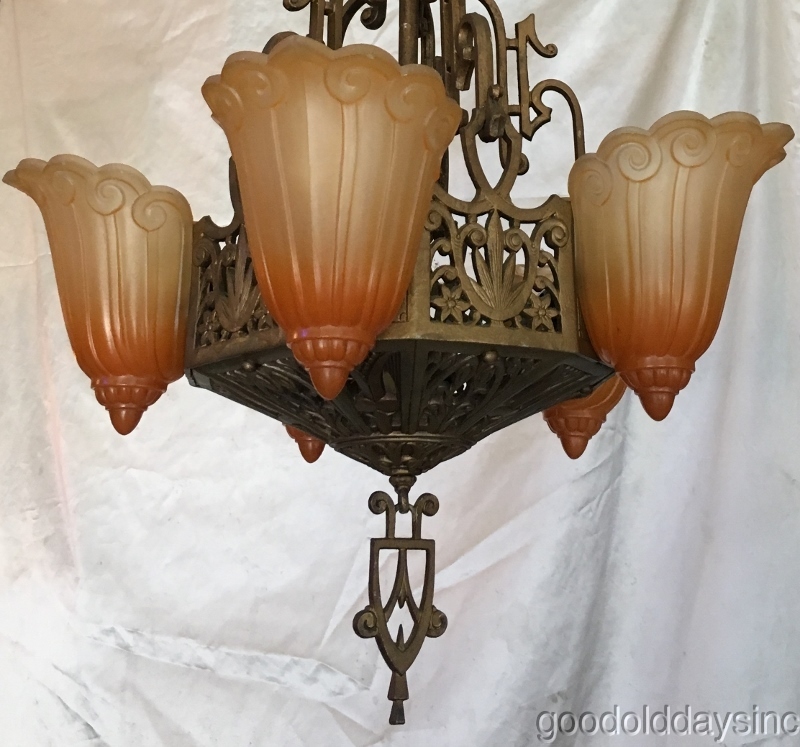 The shades are in good condition with a few small nicks. 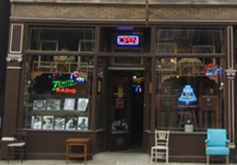 Feel free to give us a call with any questions.